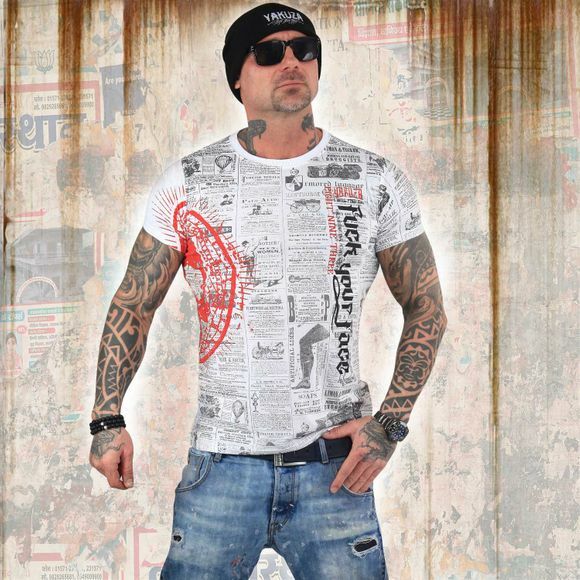 YAKUZA ADDICTED men's t-shirt. This short sleeved t-shirt features a ribbed crew neckline and monochrome vintage print designs. Finished with Yakuza Original woven label and leather tab on side seam. Slim fit, thats why it’s slightly smaller. Please watch out for our size specifications and the washing instructions below.